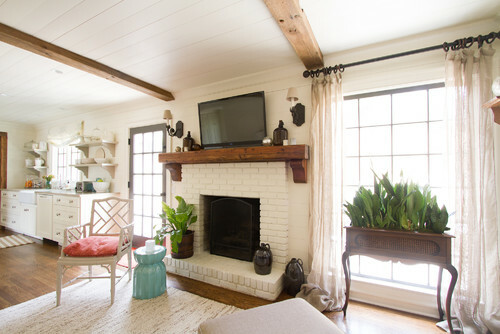 Family Room Reno: To Paint or Not Paint the Brick? 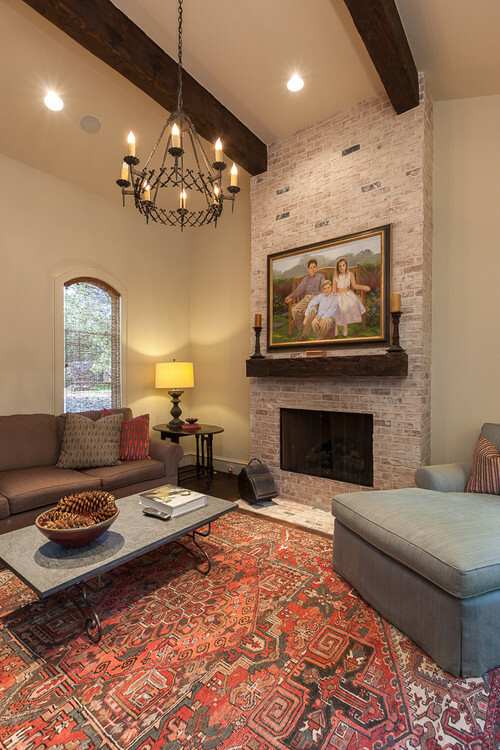 The brick fireplace in our family room is a natural focal point. But like every other surface in the room, it needs some cosmetic TLC. Please excuse the dark, pre-blog "before" photo. My initial inclination was to cover up all the brick and start anew. However, after living with it all this time, I've warmed to the charm of the brick. Since I also believe it's important to incorporate the original architectural features of your home whenever possible, I became even more hesitant about scraping the brick. But that doesn't mean I can't make some changes! 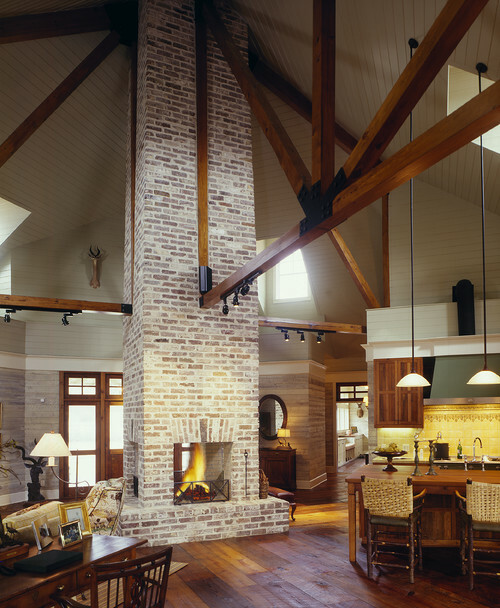 Before the walls were redone, the brick spanned floor-to-ceiling and was quite overpowering. 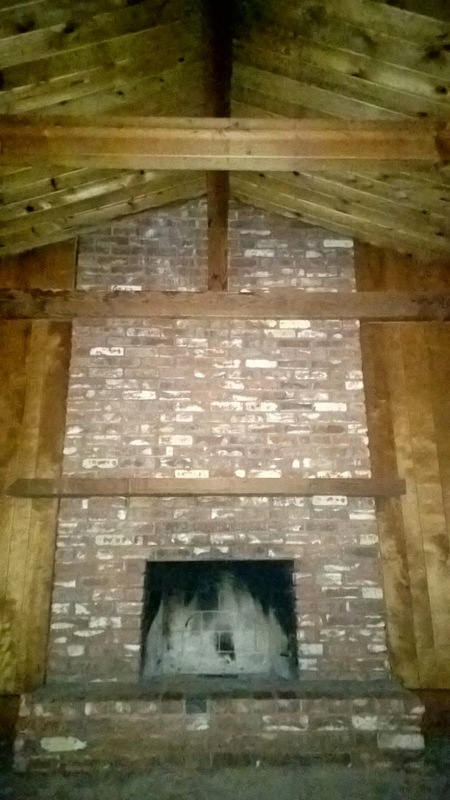 During renovation, we had the upper-most portion of the fireplace covered in drywall (above the horizontal wall beam). There was a small vertical beam that ran between the center ceiling beam and wall beam that broke up the wall. 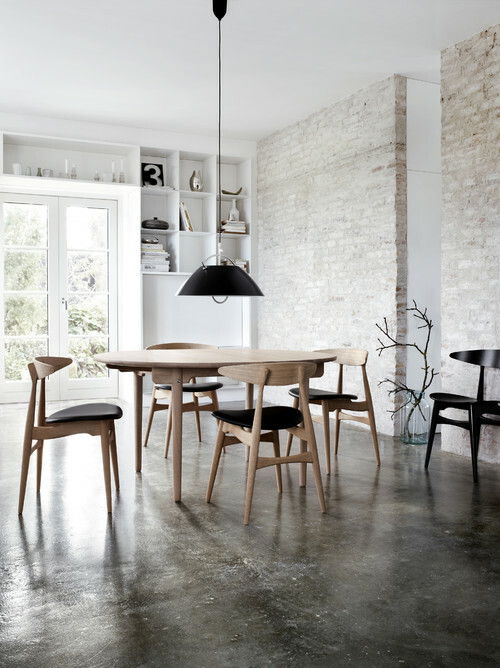 To get a continuous look, the respective area was "furred" out and drywalled. The brick expanse feels less overpowering now. With the faux paneling gone and the new walls up, the brick facade actually gives the room a layer of texture, depth, and dimension. However, the color of the brick isn't winning me over. 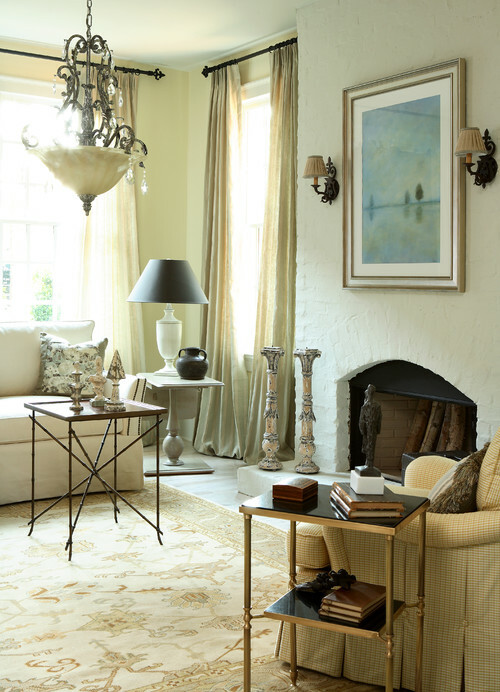 These room images of brick fireplaces that have been painted or whitewashed are totally swaying me. They just look so "fresh", don't you think?! Would you paint over brick?